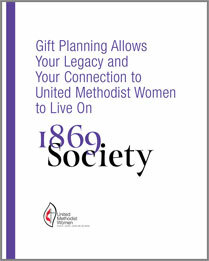 Why a Planned Gift to United Methodist Women? A planned gift not only supports the mission of United Methodist Women, it also provides valuable tax benefits to you. For example, all bequests and estate gifts are free from federal estate taxes. Bequests of certain resources, such as retirement plan assets, allow you to give more at a significantly reduced after-tax cost to your other beneficiaries. A planned gift can also memorialize a loved one or minimize tax obligations for your heirs. 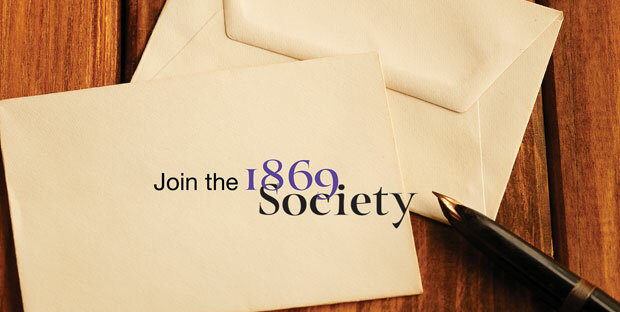 In recognition of our founding year, the 1869 Society has been established to thank and honor individuals who have named United Methodist Women as a beneficiary of a will, trust, retirement plan or life insurance policy. We would be pleased to feature YOUR United Methodist Women planned giving story here. Just contact us so we can set up an interview with you.